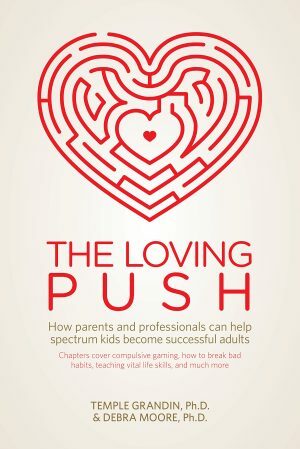 If you know and love a child with autism, this book will warm your heart! 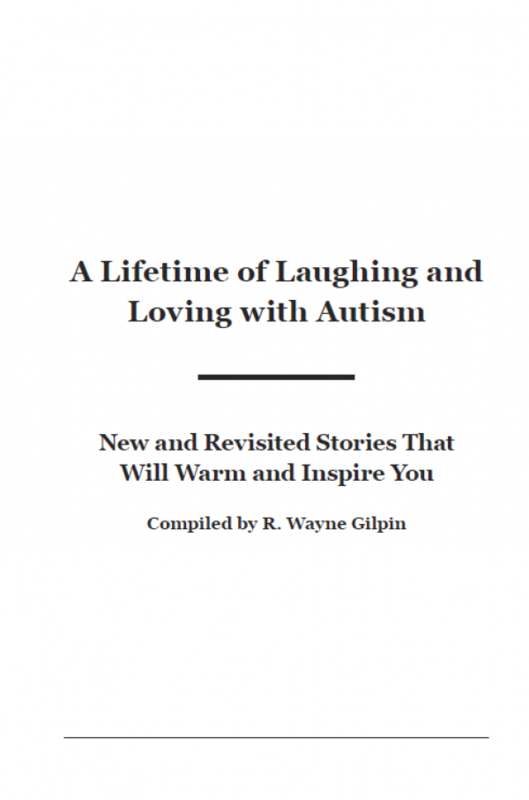 A compilation of the first three Laughing and Loving with autism books, this “Best of” book contains all of your favorite stories, plus some new ones. A compilation of your favorite stories from Laughing and Loving with Autism, More Laughing and Loving with Autism, and Much More Laughing and Loving with Autism; this book will warm your heart while it opens up to all the great qualities our folks with autism bring to us. 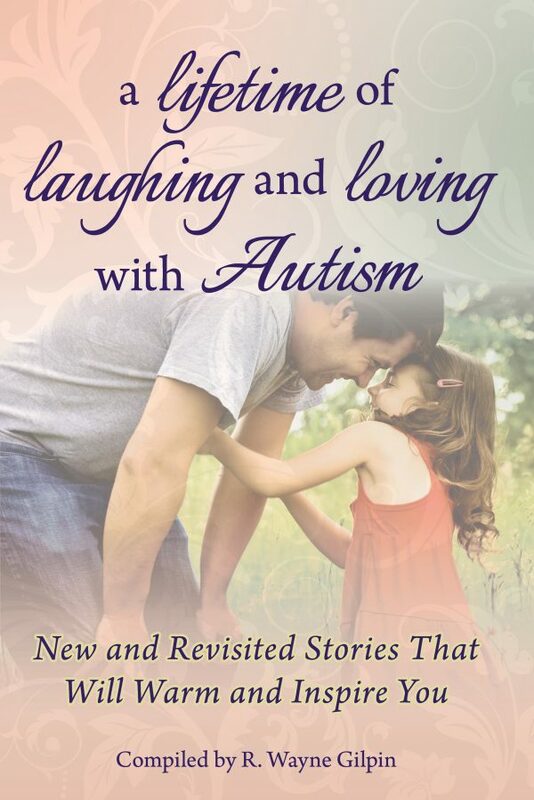 A compilation of the first three Laughing and Loving with Autism books, this “best of” book contains all of your favorite stories, plus some new ones. 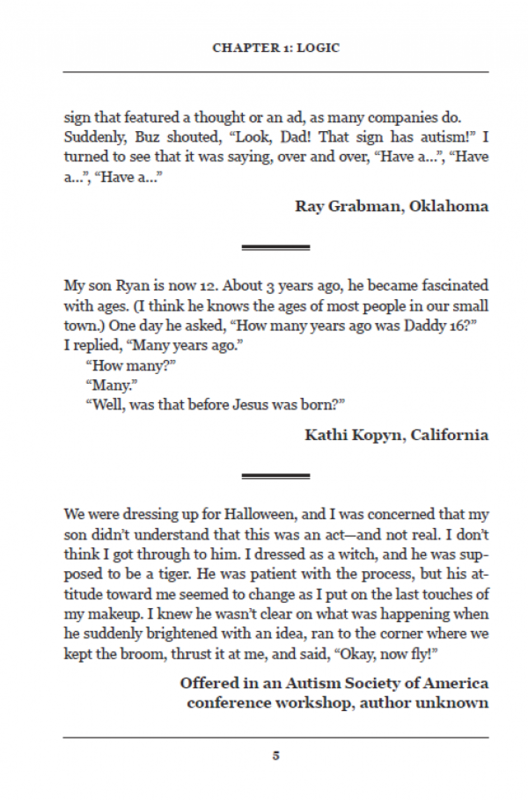 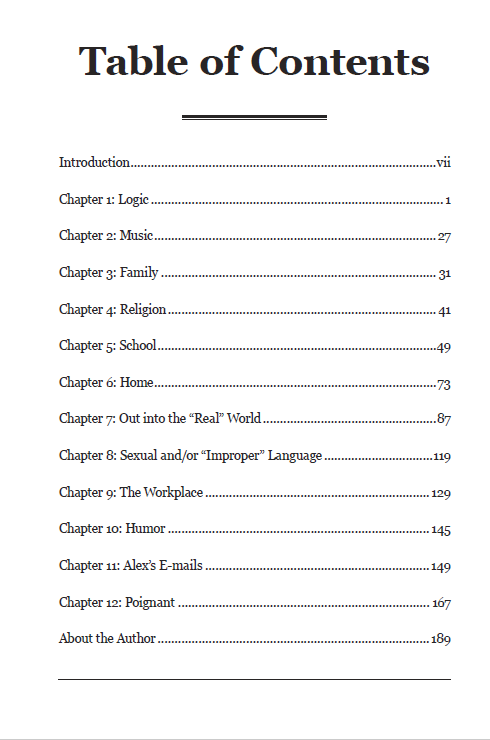 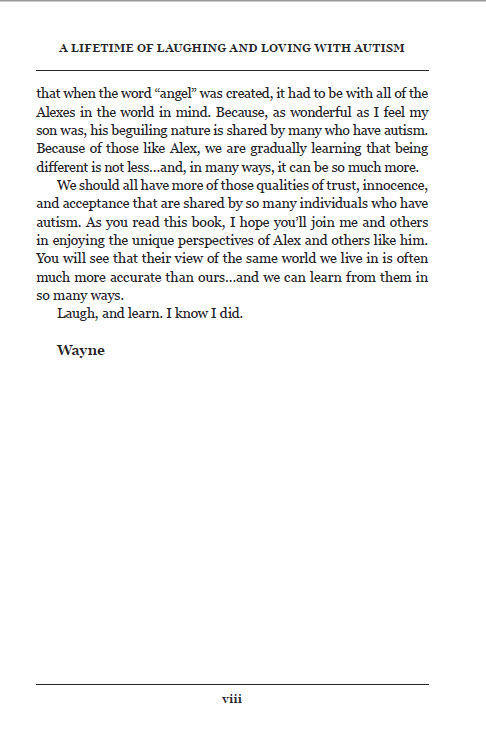 The concept for Laughing and Loving came when R. Wayne Gilpin realized how much people enjoyed the stories about his son, Alex, and his unique view of the world. 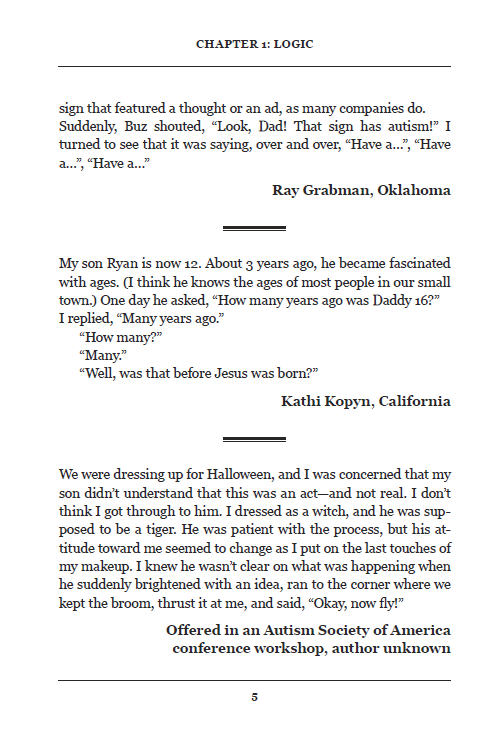 Not only did people love his stories, they usually chimed in with a few of their own. 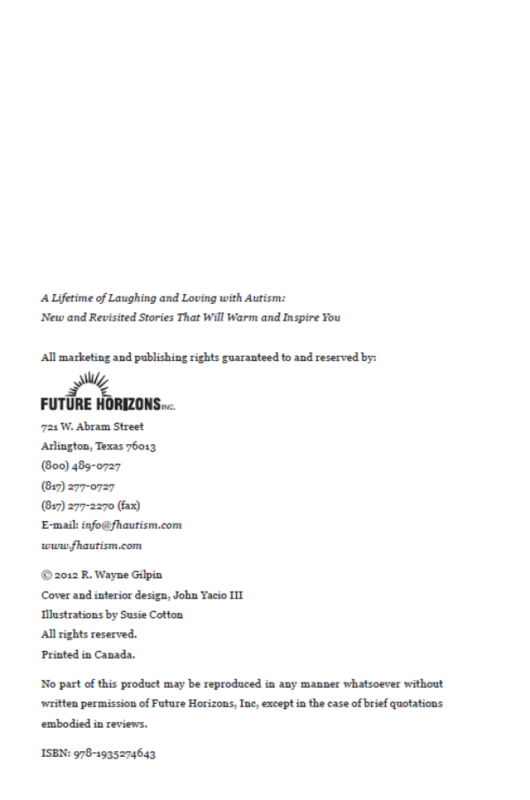 This light view of autism contrasted sharply with all the technical manuals or doom-and-gloom stories that were in print at the time, so Wayne decided that this view of autism needed to be shared. 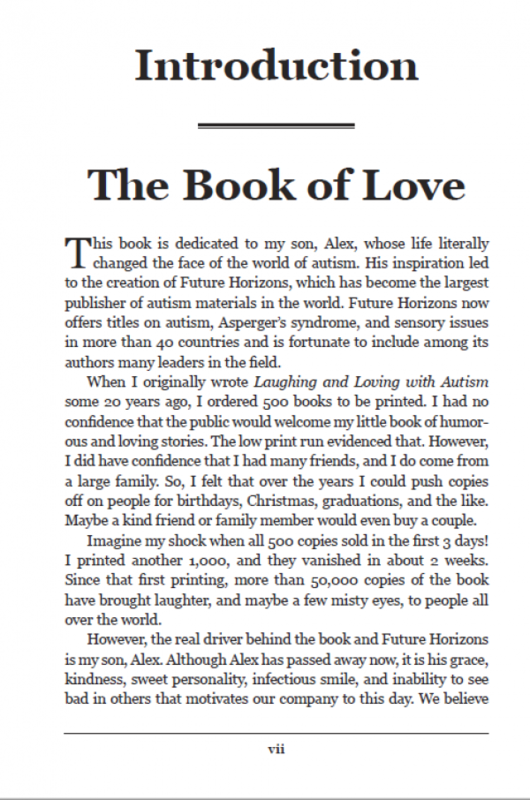 As a publisher, he printed up 500 copies and hoped he could sell them within a few years. He took them to the National Autism Society of America meeting in 1993, and all 500 were gone within two days. 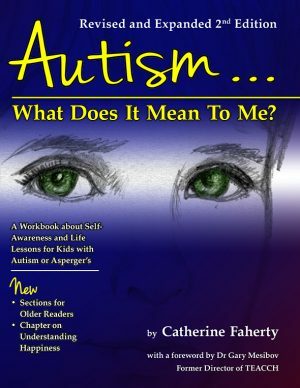 The world needed this kind of book, and it still does. 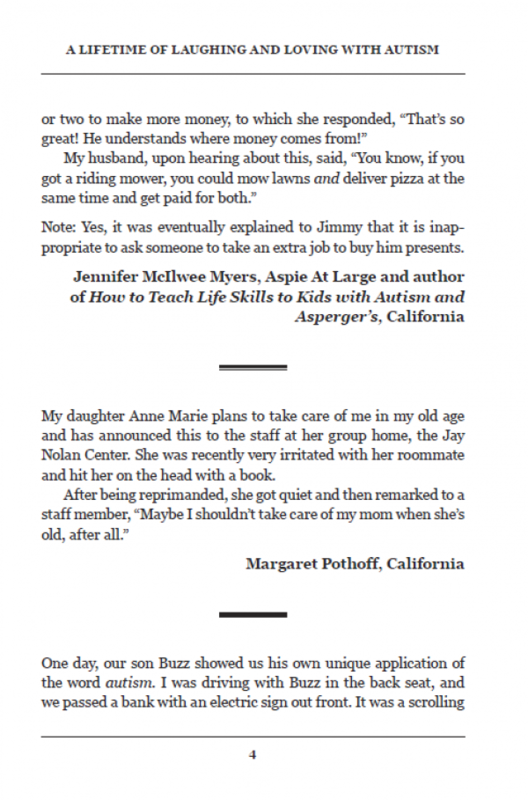 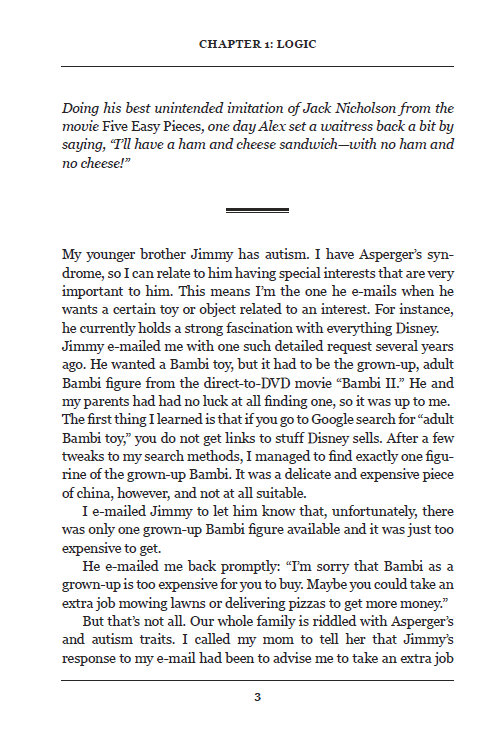 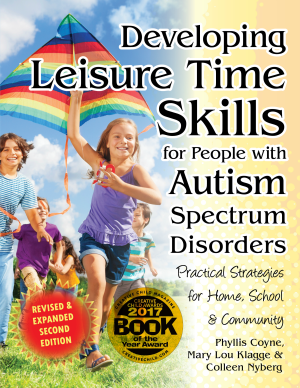 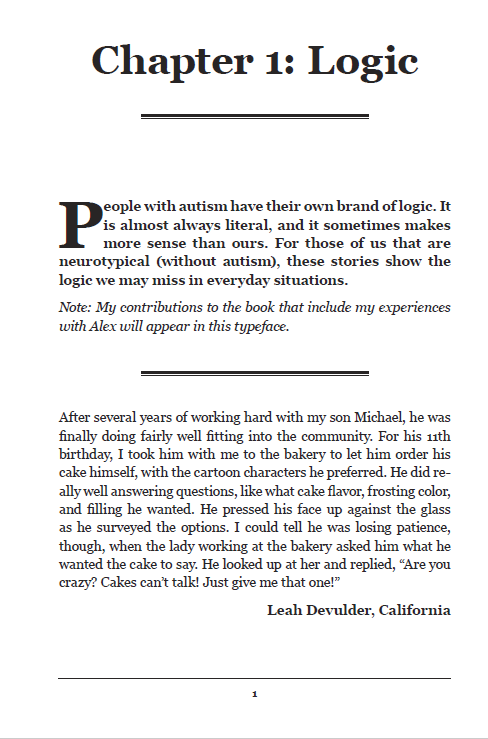 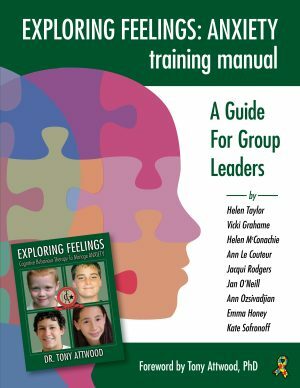 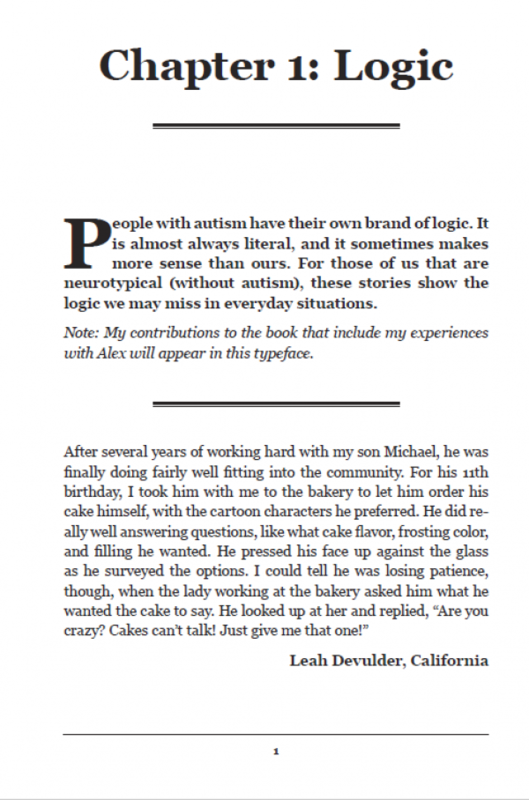 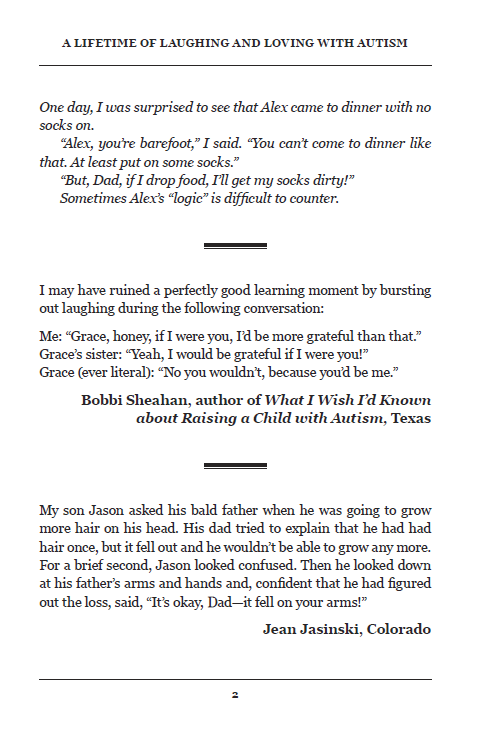 This book will warm your heart while it opens up to everyone all the great qualities our folks with autism bring to us.